The Paralegal Online Training Program will prepare you for success in this growing career field. You’ll learn about the U.S. legal system, how to conduct legal research and legal interviews, how to perform legal analyses, and more. Your training will prepare you to become a legal secretary or paralegal and to take the Certified Paralegal certification exam through the National Association of Legal Assistants (NALA). All materials are included in the cost of this program. 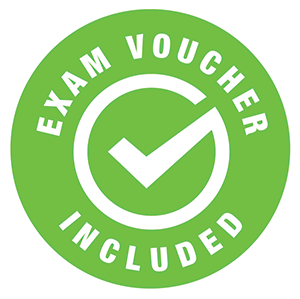 Upon successfully completing, you will receive a voucher to sit for the Certified Paralegal exam. For additional information, please see New Exam. Become one of the more than 250,000 paralegals in the United States. Paralegals are involved in sophisticated legal work in traditional law office settings and in the corporate, government, and public arenas. Obtaining a quality education is the best way to prepare for the paralegal profession. 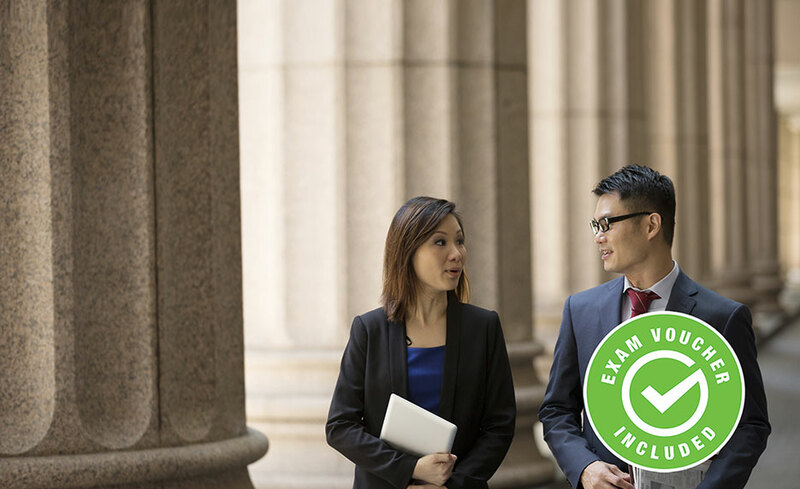 This self-paced, online program will get you ready for an entry-level paralegal position, and it'll prepare you to take the certification exam. You'll be paired with an instructor for one-on-one assistance, and you'll also receive free access to NALA Campus and Westlaw. Through a special arrangement between ed2go and National Association of Legal Assistants (NALA) Campus, your tuition includes membership, access to NALA's Certified Paralegal Exam Review self-study courses and a voucher for the Certified Paralegal exam. Regardless of whether or not you're eligible for certification or plan to take the exam, the Certified Paralegal Exam review self-study courses are a value-added addition to your paralegal education. You will also gain free access to Westlaw to complete their assigned research projects. Westlaw is an online legal research service that provides fast and easy access to an extensive collection of legal resources, news, business, and public records information. Access to the number-one rated online legal resource, Westlaw, will benefit you tremendously as you perform your legal research assignments during your paralegal education. The registration fee for the NALA Certified Paralegal exam is included with this program. This program is entirely online and is completed at your own pace. When you register, you receive twelve (12) months to complete this program. This training program will prepare you to take the NALA certification exam. Students in California who have a Bachelor's degree will need one year of experience working for an attorney before they can use the term "paralegal." California students with a bachelor's degree can use this training program to gain employment working under the supervision of an attorney to meet the requirements of California Business and Professional Code §6450. To view the code, click here. Students without a Bachelor's degree can use this training program to gain employment as a legal secretary. This program is compatible with the Windows XP and later operating systems and IE 7 and later browsers and can be taken from either a Mac or a PC. It is recommended that students have Microsoft Office suite (especially Word and PowerPoint). For additional information about the 2018 exam changes. In order to enroll in this program, you must have a high school diploma or GED equivalent. We also recommend that you have computer skills, including knowledge of the Microsoft Office suite (especially Word and PowerPoint), and good keyboarding skills (60 words per minute or faster). Also helpful are good skills in English grammar, spelling, punctuation, and composition. Note: If you plan to pursue the National Association of Legal Assistants (NALA) Certified Paralegal/Certified Legal Assistant (CP/CLA) credential, you must meet one of the requirements for eligibility shown below under the heading "NALA Certification Eligibility Requirements." This Paralegal Online Training Program is 300 clock hours. In order to meet the eligibility requirements to sit for the CP/CLA credentialing exam using this course, you must also hold a Bachelor's degree in any field, or you must have seven years of experience as a legal assistant under the supervision of a member of the Bar. (225 clock hours or 22.5 quarter hours) are substantive legal courses. 2. A Bachelor's degree in any field, plus one year of experience as a legal assistant. Successful completion of at least 15 semester hours (or 22.5 quarter hours or 225 clock hours) of substantive legal assistant programs will be considered equivalent to one year's experience as a legal assistant. 3. A high school diploma or equivalent, plus seven years of experience as a legal assistant under the supervision of a member of the Bar, plus evidence of a minimum of twenty (20) hours of continuing legal education credit to have been completed within a two-year period prior to the examination date. If you do not meet the eligibility requirements above, our Legal Secretary program is a nice alternative: Legal Secretary. Casey Thompson received his Bachelors of Business Administration degree, with his major concentration in Management, from Texas Tech University in 1994. After beginning his business career, he enrolled in the evening law school program at Texas A&M (formerly Texas Wesleyan) School of Law in 1996. Casey worked full time while attending law school at night. He graduated and passed the Bar exam in 2000. This experience gives Casey a better understanding of the requirements of the non-traditional student. Casey became a licensed attorney in the State of Texas in 2000. His major areas of practice were business and corporate law, entertainment law, and intellectual property rights. Along with this online Paralegal program, he also currently teaches as a traditional college classroom instructor in the areas of state and federal government. All of our programs are self-paced and open enrollment, so you can start them when you want and finish them at your own pace. When you register, you’ll receive twelve (12) months to complete the program. The time allotted to complete your program has been calculated based on the number of hours for each program, so don't worry too much about not completing in time. If, after a concerted effort, you are still unable to complete, your Student Advisor will help you work out a suitable completion date. Please note that a fee may be charged for an extension. All materials are included. The cost of materials will be covered by your tuition. ed2go will ship all materials via UPS ground service upon registration. Upon successful completion of the program, you will be awarded a certificate of completion. You will also receive a voucher to sit for the National Association of Legal Assistants(NALA) Certified Paralegal exam. Each student is paired with a facilitator for one-on-one interaction. The facilitator will be available (via e-mail) to answer any questions you may have and to provide feedback on your performance. All of our facilitators are successful working professionals in the fields in which they teach. 13. Does this program prepare for a certification? Yes, you will be prepared to sit for the certified Paralegal exam through the National Association of Legal Assistants(NALA) and receive an exam voucher after successful completion of the program and financial obligation.